Discussion in 'Downhill & Freeride' started by jezso, Aug 24, 2013. 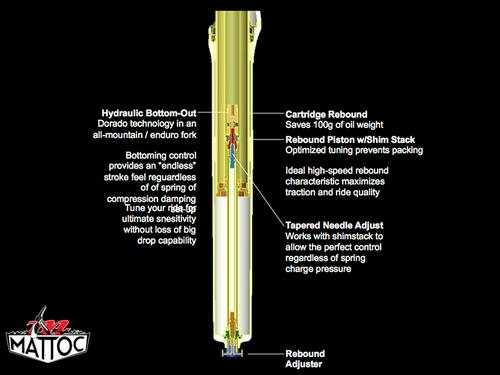 Seems promising, especially when considerng that Dorado TCP system is used in this product as well. Does not look fancy but who cares. I defenetly will replace my Fox 36 Float with this, however usually I hate to be an early adopter. How on earth is noone talking about this new fork here? 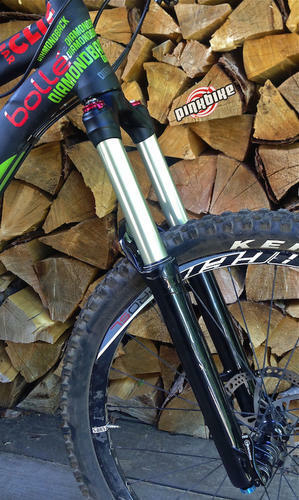 probably waiting to talk about this : "Prototype Enduro Fork just arrived in the mail! Once we get the decals and internals installed we will post a picture of it! Exciting times! Cheers, DVO"
i thought the same thing. aside from the dorado, everything they've been doing is XC. 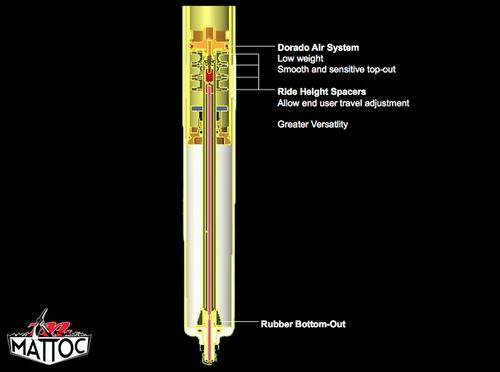 If the damper is anything like the Dorado I'm pretty excited about this. The 140mm travel Minute is a pretty nice fork for AM duty. I've been riding one for a year or so. It was much better than the Fox 32 Float I tried before I bought it. can you elaborate? I'm interested in the tower for a 29er project. 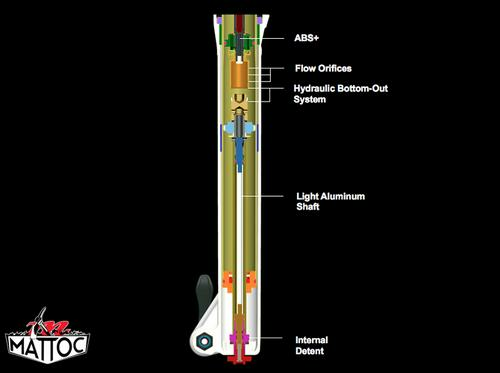 I hear great things regarding tunability of the MARS spring and everybody loves TPC+ anyways. I'm not really scared off by 32mm stanchions, though virtually everybody else is. This fork should solve that, whatever they call it! I have it on a Transition Bandit 26. I test rode a demo and found the bike awesome, but really held back by the Fox 32. It just seemed harsh and flexy. I bought the Bandit as a frame only and put on a Minute 140 (after having previously used a minute on another trail bike) and was astounded at how much better it felt. Super plush while not being divey (is that a word?) especially since I'm around 215lbs. You can get a complete tuning kit from Manitou with all the bits and pieces you'll ever need to customize the shim stack. I really think they are an under rated fork, perhaps because of a smaller marketing budget than the big boys. Interesting stuff. I'd like to hear more about this new fork. Will probably need to pick up a 150-160mm fork in the next bit and my early impressions from my Dorado are very positive. Hopefully we'll get more details from Eurobike. 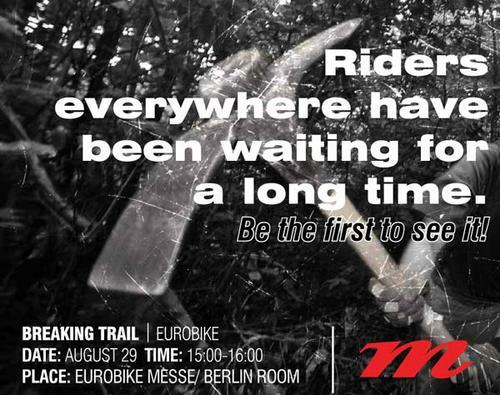 details are supposed to be released on the 29th for Eurobike. Does that picture mean the name will be Manitou Pick? People on Ridemonkey are surprisingly smart! Nice! Looks like it's going to be a tough game in the long travel single crown enderpo game this year. that foam thing they described sounds like the only maybe questionable thing? but when you compare it to the bladder config of other forks it doesn't really seem that far out. curious to see first ride reports. it sounded like, under a cursory read, that oil bleeds out through it? or is that wrong? It could be neat, but I guess I'd worry about wear over time. Damnit! Looks like it's time to get a 20mm to 15mm adaptor kit Why couldn't they make it 20mm? The red looks dope though. Why couldn't they make it 20mm? Let this be a lesson...buy good hubs. Hopes, kings, and I think hadleys are all convertible between any retarded standard that's going to make whatever other retarded standard obsolete in 5 years. Although...I bet we see 25mm axles come into play within 3 years. 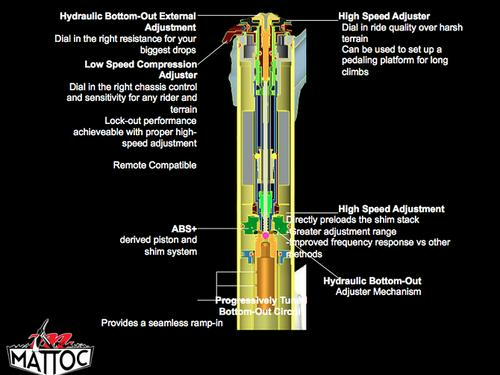 Once 20mm is fully obsolete, 25mm will be under way since no hubs can fit 25mm axles. Everybody switches over to 15, but now you gotta pay to play! 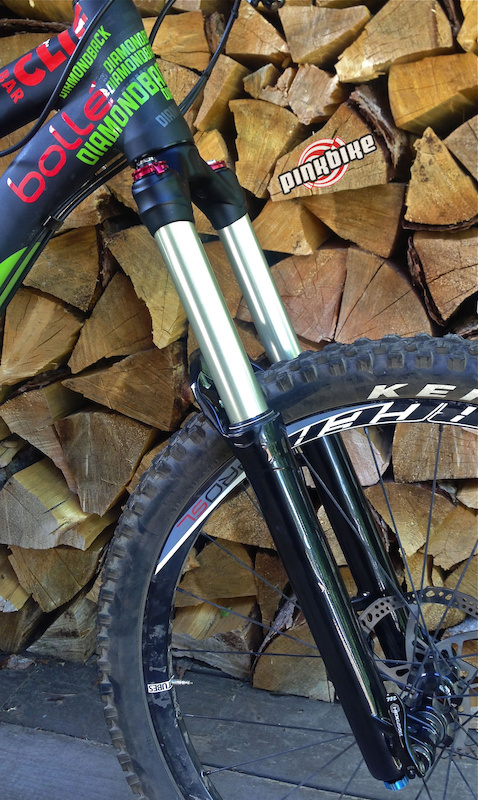 25x120, better for 29/650b/27.5/your mom! to be fair, manitou has their hex axle thingy which by all accounts is quite good. The new innovative DLO³ from MAGURA! Looks like it's called the Mattoc. Looks pretty neato and you can still get it in 26. I question the 15mm too. But I've heard all 15mm axles aren't created equal and Manitou have done a good job with the 15mm hexlock qr. Why does everyone always go so crazy for axles. I'm way more scared of fore-aft flex and the binding associated with it (or just snapping). This is where 1.5 comes into place and I think this is where the manufacturers have focused. looking at this pike, 20mm or 15mm, whatever, but that crown, steerer and stanchion interface better be pretty damn good, given how light this thing is and what it's intended to do. Is there only a single compression shim there, or do I see wrong? That's a rebound check shim. Compression is the other direction. I think I'm looking at the right shim, to the right of the piston. The rebound check valve is on the left, isn't it? Pffft, it doesn't say anything about mid-stroke support, so I'm not sure if it will be legal to ride one. it amazes me that it took this long for a fork manufacturer to put both high and low speed independent compression adjusters on a single crown fork. My old Fox Van 36 RC2 had hi and low speed compression adjuster knobs, although neither seemed to actually do anything. Still fun to turn the knobs and pretend to tune it tho. ^^^ that's interesting you feel that way cause I've always felt a difference in mine, granted the adjustment range isn't huge. Regardless, I'm real excited by this fork. Great features, competitive weight (far lighter than my 36), probably as cheap or cheaper than anything else. Will be interested to see the reports from those that jump in first. huh, shows what I know. derp. if you could lower it to 100mm for climbing id buy it..